Do You Have Any Honey? Working with bees is a lesson in patience. We can’t simply go out to the hive and turn on the honey faucet any time we feel like it. Plus, the production of honey and the amount we collect is never a guarantee for the beekeeper. There are too many variables. For example, if the colony of bees is too small, there aren’t enough bees to bring in large quantities of nectar to make honey. If the weather in the spring is too wet, nectar from the flowers is washed away and there’s nothing to gather. If we have a late freeze, flower buds die before they open — so, again, no nectar. If it’s too hot in the early spring, nectar sources dry up. If the hive swarms in the spring, half the workers are gone — and again, no nectar. However, IF a hive is strong (about 60-80,000 bees) in the spring, and IF the weather is dry enough, but not too dry, and IF the late freeze didn’t set them back, and IF the bees don’t swarm, we’ll probably get honey from those busy workers. — Hooray!!! But we still can’t take the honey now. Why? It’s not honey yet. What transforms nectar in the flowers into the delicious honey we enjoy on a hot buttered biscuit? The bees. As the nectar gets passed from bee to bee over 180 enzymes, vitamins and minerals, including protein from pollen, are added to the nectar. The honey passes up the chain of bees until it’s deposited in one of the thousands of hexagonal wax storage bins called honeycomb. It looks and smells like honey, but it’s still not honey yet. Once it’s in the comb the nectar must be dehydrated. By flapping their wings over the nectar the bees can reduce the water content from 70 % to 18 %. That’s a lot of flapping — and it takes time! 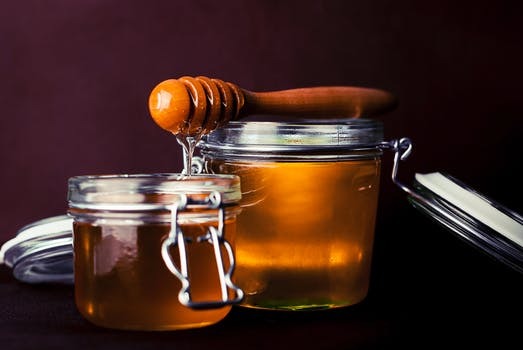 Once the honey reaches the magic 18 % number, the bees cap it with wax so it won’t absorb moisture from the atmosphere. Once it’s capped, THEN it’s ready. In Tennessee most flowers only produce nectar from about May 1 to June 15th. Then the bees begin curing the nectar and capping the honey, and by the time it’s ready, it’s July or August. And that’s when we harvest. Good things are worth the wait. Real quality takes time — and patience. The bees know it, but we seem to have forgotten that truth. We want what we want, the way we want it and we want it NOW. We’ve lost the gift of patience. At least some of us have. I don’t want to spend hours in the kitchen preparing a meal. so I look for something quick and easy. I drum my fingers on the counter top waiting for the microwave to cook my dinner in 90 seconds! I want “instant” everything — instant service, instant oatmeal, instant cash, instant faith. In the United States we buy almost everything on credit because we don’t want to wait. We have almost 610 million credit cards in the United States and most families carry a balance on more than three cards burning a hole in their wallets. Currently credit card debt in America is 962 billion dollars. That’s billion — with a “B.” The average credit card debt per household is $14,750. That’s a lot of debt. We’re the same way with every other aspect of our lives as well, including our relationship with God. I’m guilty of “running up a debt” with Him, too. Often I jump out ahead of Him, because I think He’s not moving fast enough. I want His answer on my time, not His. After all, we know God can answer a prayer instantly, so why doesn’t He? Could it be that the answer isn’t ripe yet? (Which could explain why my plans often taste sour). God calls patience a Fruit of the Spirit. And, I don’t know about you, but I’ve never seen an “instant apple.” Fruit takes time and has to be cultivated. Maybe, once again, God wants to teach me something through the bees — the art of patience. A Side Note: Please don’t ask to buy our honey online. We only sell our honey locally because we want to look you in the eye and say “Thank you.” However, IF you’re willing to come to Middle Tennessee and IF our bees stay healthy and IF we have a good honey crop this year and IF we have some extra honey for sale, send me a reply and we’ll let you know when it’s ready. So good and wisdom have spoken …. I 🐝say yes to that. ❤️🐝The bees knows best ! Excellent advice. The takeaway for me is, “patience.” Thank you. © Mary Jane Miller, All Rights Reserved.